General anesthesia may be indicated for children with extensive dental needs who are extremely uncooperative, fearful, or anxious or for the very young who do not understand how to cope in a cooperative manner. General anesthesia also can be useful for children requiring significant surgical procedures or patients who may have special health care needs. 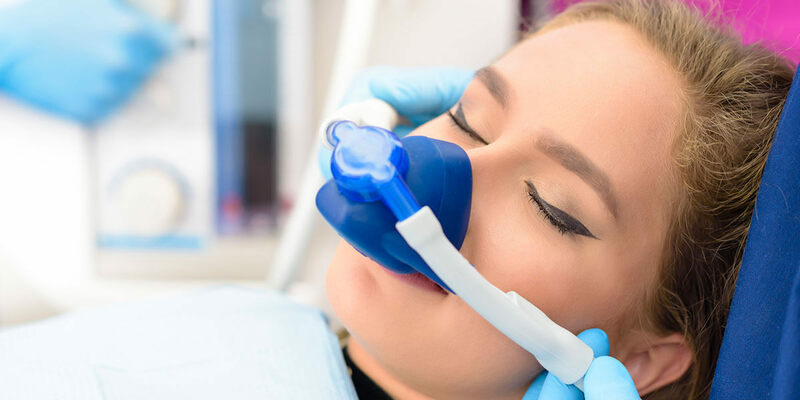 Nitrous oxide, sometimes referred to as “laughing gas,” is an effective and safe sedation agent that is inhaled through a mask that fits over your nose to help you relax. Mixed with oxygen, nitrous oxide allows you to breathe normally through your nose, and within minutes you should start to feel the effects. You may feel light-headed or a tingling in your arms and legs. Some patients comment that their legs and arms feel heavy. Ultimately, you should feel comfortable and calm. The effects of nitrous oxide wear off quickly after the small mask is removed. We also offer other sedation options, please talk to the doctor about which sedation options are best for your child. These other options include treatment inside or outside of the office in order to accommodate patients with needs requiring the use of an anesthesiologist.